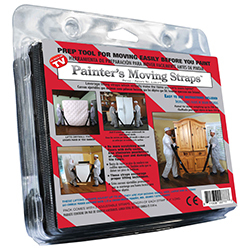 We created these straps for painters. 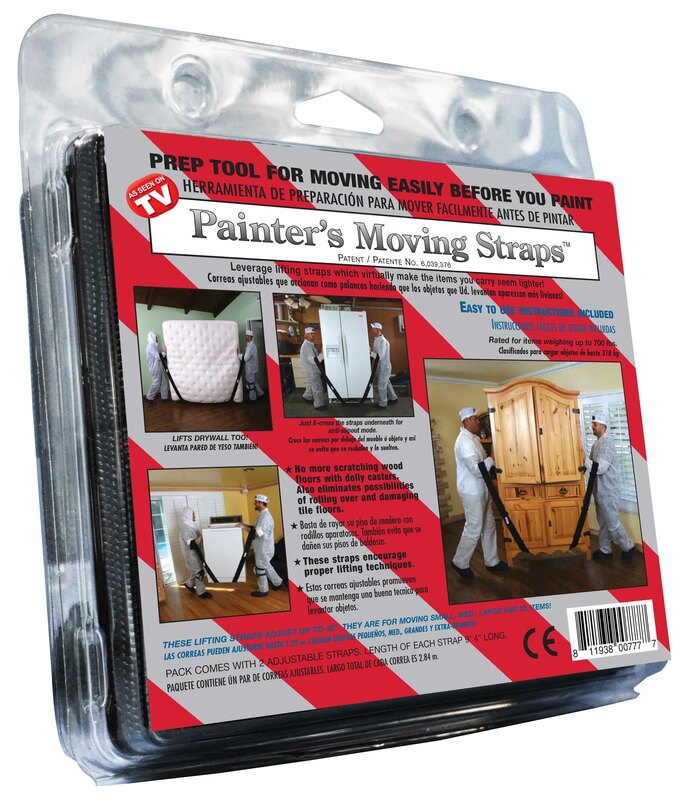 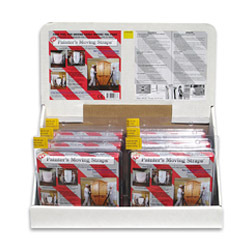 This adjustable painters' prep tool is for moving furniture and appliances of different shapes and sizes, before and after painting a room and / or area. 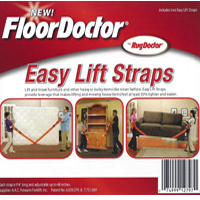 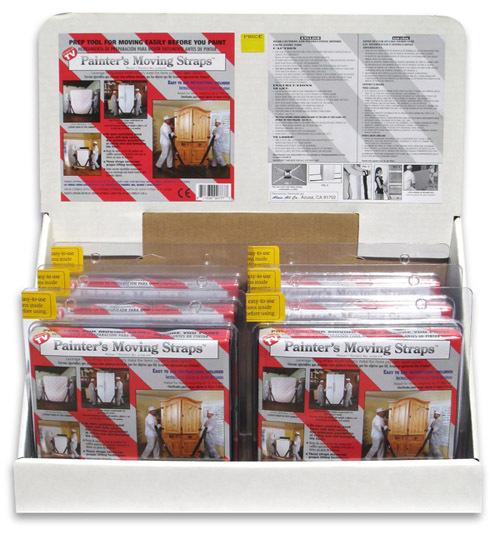 These straps avoid leaving scuffed and/or scraped floors. 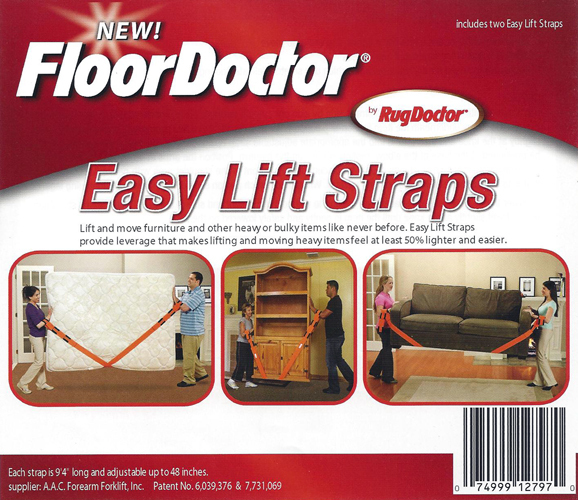 Rated up to 800 lbs. 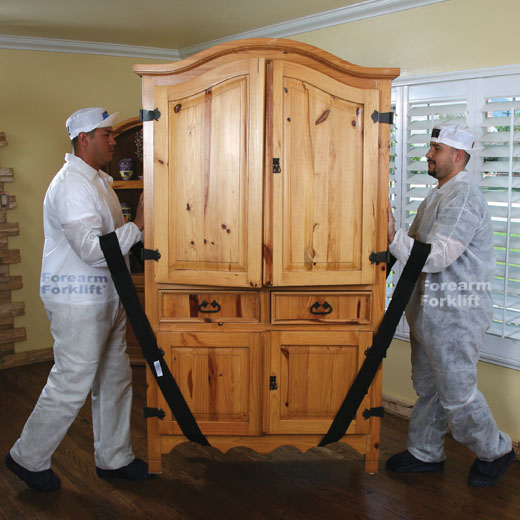 / 362 kg.